Lori Olson has served as the Executive Director of the Texas Land Trust Council since July of 2011, working to strengthen the coalition of land and water conservation organizations working across the State of Texas. In her work with the Council, Lori engages in state and federal advocacy, strategic outreach and research projects that promote the many benefits of conservation, and offers training and technical assistance, including hosting the annual Texas Land Conservation Conference. Lori has nearly two decades of experience in the field of land conservation, working with land trusts in Oregon, North Carolina, Georgia and Texas. She is the former Executive Director of the Eno River Association, a land trust located in Durham, NC. 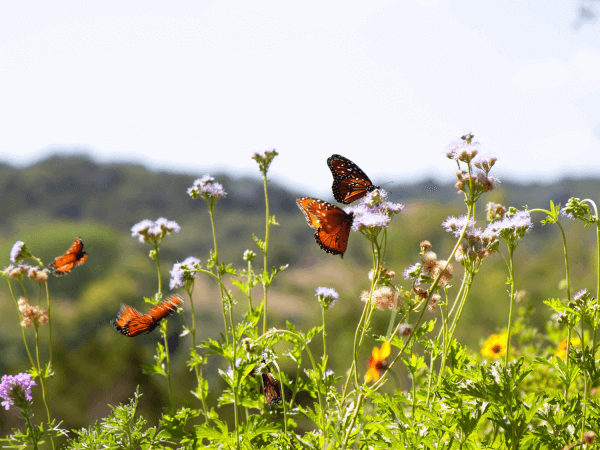 She also served as a project manager for The Trust for Public Land, focusing on Central Texas conservation projects with government agency partners including the Cities of Austin, San Marcos and San Antonio, the U.S. Fish and Wildlife Service, Travis and Hays Counties. A native Texan, Lori is a graduate of the University of Texas at Austin with a B.S. in Biology, and a graduate of the University of Oregon with a Master’s degree in Community and Regional Planning, as well as a Master of Science degree in Public Affairs. She also completed her Certificate in Non-Profit Management at Duke University. She is an avid conservationist and lover of the outdoors. Lori lives in the Texas Hill Country with her family. Allison Elder is the Director of Legal Services at the San Antonio River Authority. Allison has extensive experience in conservation real estate matters, developed over the past sixteen years, through work in both the for-profit and non-profit sectors. 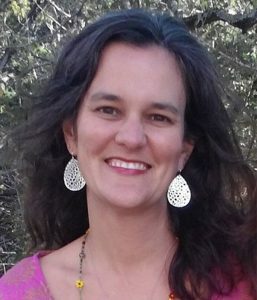 Over the course of her career, Allison has served as Vice-President and General Counsel of the Texas Agricultural Land Trust (TALT), executive director of the Bexar Land Trust, now known as Green Spaces Alliance, and as a senior attorney at the law firm of Braun & Gresham, where her practice focused on conservation transactions serving Texas landowners. She has negotiated, drafted, and secured conservation easement sales and donations throughout the state of Texas, protecting wildlife habitat, water quality, scenic views, and working lands. Allison holds a law degree as well as a finance degree earned through the honors business program at the University of Texas at Austin. Allison and her husband Steve have been married 25 years and have four children. Travis Phillips is an attorney with Graves Dougherty Hearon & Moody in Austin, Texas. His legal practice focuses on transactional matters, primarily those involving commercial real estate or lending. 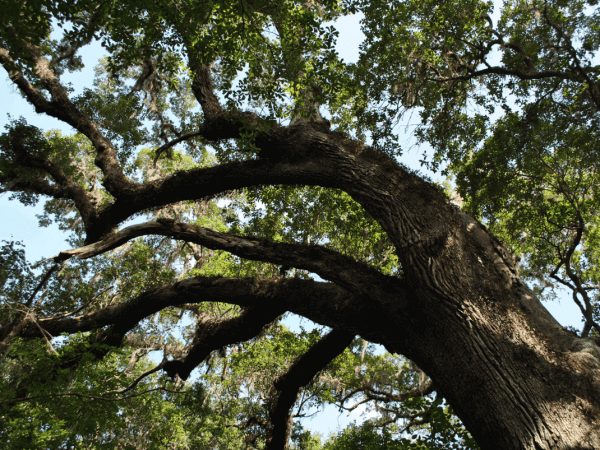 Travis is a also a member of the board of directors of the Texas Land Conservancy, a statewide land trust responsible for conserving over 70,000 acres of land in Texas. A native Austinite, Travis is actively engaged in his community and is a graduate of several local leadership programs, including the Leadership Austin Essential Class (2013) and the Real Estate Council of Austin Leadership Development Council (2010). Travis is an honor’s graduate of the University of Texas at Austin School of Law. He holds a Master of Public Affairs degree from the Lyndon B. Johnson School of Public Affairs at the University of Texas at Austin, and a Bachelor’s degree in Geography, also from the University of Texas. As the proud parents of two young children, Travis and his wife, Ashley, are grateful for the efforts of local land trusts and other conservation leaders to ensure that Texas’ heritage of wide-open landscapes, ecological diversity and healthy wildlife habitat is available for future generations to enjoy. Jordan Gossett is a commercial lender in Austin at Horizon Bank, a community bank that primarily deals in commercial lending across Central Texas. Jordan grew up in the Texas Panhandle, where he spent a considerable amount of time at his family’s farm/ranch located in Lipscomb County. It was at the ranch where Jordan became interested in hunting, fishing, and land conservation. Jordan graduated from Belmont University in 2013 and then returned to Texas to attend graduate school at the TCU Ranch Management Program, where he learned the intricacies of agricultural business. After graduation, Jordan and his wife Whitney moved from Fort Worth to Austin. Jordan is a member of numerous agriculuture and wildlife organizations such as the Hill Country Quail Coalition, Texas Parks and Wildlife’s Stewards of the Wild, and the local CCA chapter. Whether it is hunting for trout in a Montana stream, or chasing quail across the plains of Texas, Jordan continues to pursue outdoor adventure. Jeff Weigel is Director of Strategic Initiatives at The Nature Conservancy of Texas where he works on project and partner development, government affairs, and fundraising. A native of Minnesota, Jeff has devoted his career to the conservation of wildlife and natural ecosystems across the United States and Latin America, including grasslands, forests, deserts, freshwater and marine environments. He began his conservation career as a field biologist in Minnesota, and has evolved into program and project management, spending over 15 years working in Texas and over a decade focused on Mexico and Central America. Jeff holds a B.A. degree in Biology from St. Cloud State University in Minnesota, as well as a M.S. in Range Management from Texas Tech University. James King, a six-generation direct descendant of Captain Richard King, grew up in Corpus Christi and on family ranches in south Texas, and at a second home on the coast in Port Aransas. After graduating in 1978 from Oxford College of Emory University with a degree in Liberal Arts, and in 1981 from Texas A&M University with a BS in Rangeland Ecology, James started a long career in Natural Resource Conservation and Real Estate. After college, he opened and co-owned a statewide farm and ranch real estate firm with offices in five communities across Texas. Then, James spent 19 years with The Nature Conservancy as part of the statewide senior management team. As head of real estate, James led the efforts to protect more than 500,000 acres of our state’s most important conservation lands and waters. James pioneered TNC’s Conservation Buyer Program in Texas, negotiating dozens of conservation easements across the Texas landscape. In 2008, he started his own statewide conservation real estate business, King Land & Water LLC in Fort Davis with his wife Tammy. He is active today in many major conservation and land projects across the state. James serves on the board of the Trans Pecos Water Trust, McDonald Observatory Board of Visitors, Borderlands Research Institute, Devils River Conservancy, and the Texas Land Trust Council. James loves hunting, fishing, hiking, and adventure traveling with his family and friends. Roel R. Lopez is the Director of the Texas A&M Institute of Renewable Natural Resources, a research and extension unit of both Texas A&M AgriLife Research and Texas A&M AgriLife Extension Service, and a Professor in the Department of Wildlife and Fisheries Sciences. He has over 20 years of experience in natural resource and land management with academia, federal and private industry. As a faculty member, he has authored more than 100 journal articles and book chapters on various natural resource topics. He served as Special Assistant to the Deputy Under Secretary of Defense-Installation and Environment and continues to work with the Department of Defense on various national and local natural resource and environmental issues. His research focuses on endangered and fragmented wildlife populations, sustainability of military lands, land fragmentation of working lands, and approaches to regional planning. Roel has forestry and wildlife science degrees from Stephen F. Austin State University and Texas A&M University. Robert Mace is an Associate Director and the Chief Water Policy Officer at The Meadows Center for Water and the Environment and a Professor of Practice in the Department of Geography at Texas State University. Robert has over 30 years of experience in hydrology, hydrogeology, stakeholder processes, and water policy, mostly in Texas. Before joining Texas State University in 2017, Robert worked at the Texas Water Development Board for 17 years, ending his career there as the Deputy Executive Administrator for the Water Science & Conservation office. While at the Board, Robert worked on understanding groundwater and surface water resources in Texas; advancing water conservation and innovative water technologies such as desalination, aquifer storage and recovery, reuse, and rainwater harvesting; and protecting Texans from floods. Robert also worked for nine years at the Bureau of Economic Geology at The University of Texas at Austin as a hydrologist and research scientist. Robert has a B.S. in Geophysics and an M.S. in Hydrology from the New Mexico Institute of Mining and Technology and a Ph.D. in Hydrogeology from The University of Texas at Austin. John P. Schneider, Jr. recieved a BBA degree from Texas A&M University and is president of Schneider & Associates, Inc. specialzing in commercial, farm and ranch real estate in Central and South Texas. He is LCRA’s former Natural Resource Manager and founding Executive Director of the Colorado River Land Trust. He is a member of the Society of Texas A&M Real Estate Professionals, past chairman of the Texas Real Estate Center Advisory Committee, and past chairman of the A&M College of Agriculture Development Council. Schneider is a former member of the State Executive Committee and Austin Chapter President of the Coastal Conservation Association. Schneider was appointed by Governor George W. Bush to the Guadalupe Blanco River Authority Board and served three years as Chairman. He is a current member, and one of the original trustees, of the Guadalupe-Blanco River Trust. Julie K. Shackelford is the Texas Programs Director for The Conservation Fund. Ms. Shackelford joined the Fund in 2004. In 2007 she opened the East Texas office in Nacogdoches where she works on land protection projects up and down the Neches River. To date, Julie has assisted in over fifty land acquisition transactions for partners that have protected 90,000 acres of land throughout Texas, focusing primarily on the Neches River in eastern Texas. 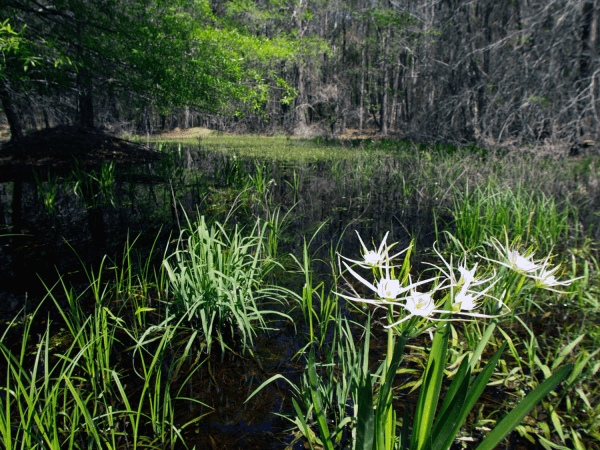 Previously, Ms. Shackelford was the Director of American Farmland Trust’s Texas office for five years and prior to that she was the state wetlands planner at Texas Parks and Wildlife Department for five years. She is the recipient of the 2008 Native Plant Society of Texas’ Nancy Benedict Memorial Award, the 2003-2004 Outstanding Technical Article for the Texas Chapter of the Wildlife Society and the 1998 National Wetlands Award. Julie holds a Masters of Environmental Management degree from Duke University’s School of Forestry and Environmental Studies and a B.A. in Biology from Carleton College in Minnesota. Bob Stokes is the President of the Galveston Bay Foundation (GBF), a position he has held since 2004. GBF works to preserve, protect and enhance the natural resources of Galveston Bay and its tributaries, with programs in advocacy, conservation, education and research. Bob served on the board of the Foundation for five years, and served two years as the board’s chair, prior to taking the helm as President. Before that, Bob had a distinguished legal career working at the firm of Blackburn and Carter, and environmental law firm in Houston, and with the Environmental Division of the Harris County Attorney’s Office. Bob has also served on the Board of Directors of Restore Americas Estuaries since 2004 and on the Governing Board of EarthShare of Texas since 2007. He was awarded “Environmental Professional of the Year” in 2001 by the Texas Association of Environmental Professionals. He is a 1990 graduate of Yale University and a 1994 graduate of the university of Texas School of Law. Clayton Wolf serves as Director the Wildlife Division at the Texas Parks and Wildlife Department, a position he has held since 2009. The Wildlife Division’s mission is to manage and conserve the natural and cultural resources of Texas and to provide hunting, fishing, and outdoor recreation opportunities for the use and enjoyment of present and future generations. In his current role, Clayton leads and oversees the operations of the Division, emphasizing the critical role that private lands stewardship plays in the conservation of Texas’ natural resources and open spaces. Wolf also brings over 30 years experience as a wildlife biologist in Texas, working across the Lone Star State on a myriad of wildlife management issues. Wolf received his Master’s degree from Texas A&M University and completed his undergraduate studies at Stephen F. Austin State University. He is also a Certified Wildlife Biologist with The Wildlife Society. His passion for the outdoors was kindled while hunting, fishing and camping on the family ranch in Lee County, settled by his great-grandparents in the late 1800’s.